As seen at London’s Leicester Square Theatre. 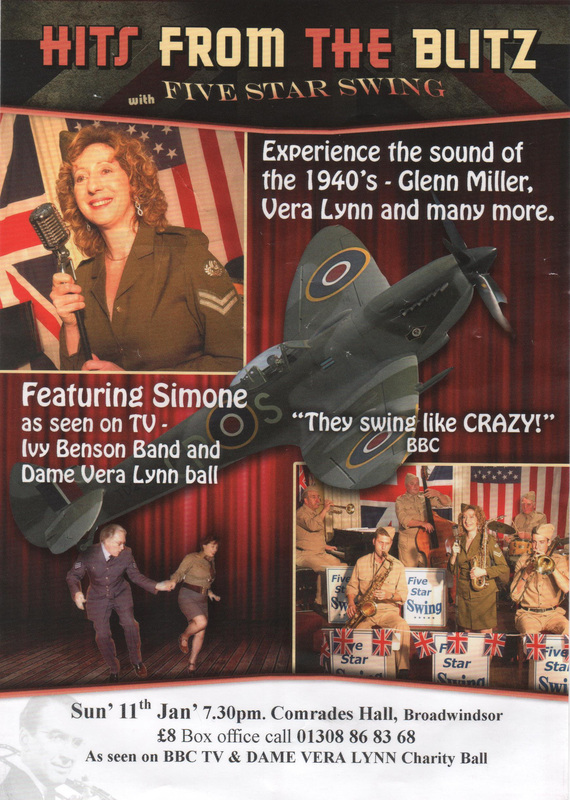 The unique feel-good 1940s show, as featured at the Leicester Square Theatre, London, will be swinging into the Comrades Hall, Broadwindsor, on Sunday 11 January. 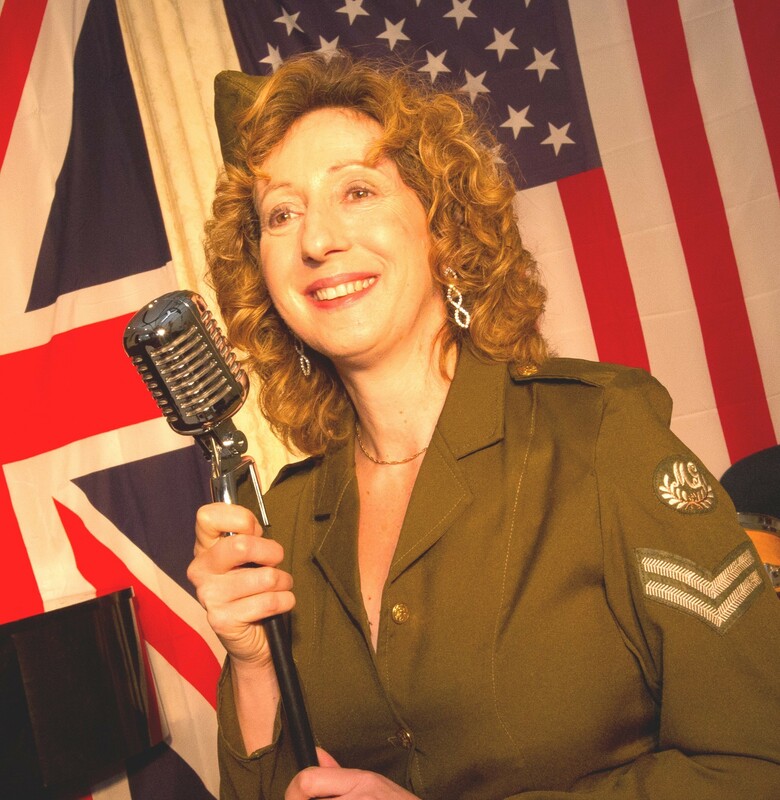 The show, which starts at 7.30pm, will have you singing along to famous war-time tunes brought to life by the singers and multi-instrumentalists of the Five Star Swing band, as seen at Dame Vera Lynn’s Charity Gala Nights. “Superb, they swing like crazy!” –says the BBC’s Sheila Tracy. Featuring Simone from the latter days of the Ivy Benson Orchestra plus Chris Smith (Jnr) composer and arranger for Glenn Miller’s Brother, Herb and the BBC Radio Big Band. This show will soon sell-out – book early to avoid disappointment! Simone – The famous bandleader and saxophonist Ivy Benson taught Simone to play alto saxophone in the late 1970s and with whom Simone subsequently performed. Simone went on to become an accomplished vocalist, Clarinet and flute player, recording with Paul Weller, TV film Lace 2, Vince Hill and the New Squadronaires plus solo saxophone on the Paul Merton TV show. Her international performances have taken her to France, Italy & South Africa.